As far as spending money for entertainment goes I think we have the cheapest form possible at our local King Soopers. 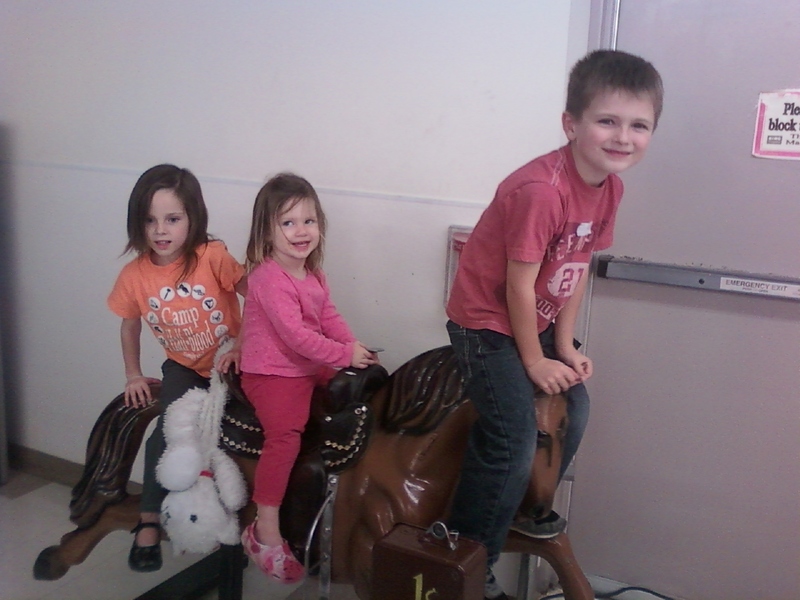 1 penny for a ride, in which all 3 kids can enjoy at the same time….hard to beat that price! That brings back memories. Growing up in Colo. Springs we always went to King Soopers, and we always rode the lion (our horse) for a penny. It’s awesome that it’s still so cheep.